For thousands of years, abalone provided food and shells for local tribes, only to be fished out by poachers and over-harvested due to poor management. Now they are functionally extinct, meaning there are so few they can’t find a mate and reproduce. Despite a ban on harvest and the creation of a captive breeding program, remnant populations of pinto abalone are not reproducing in the wild and may be facing local extinction. Washington Department of Fish and Wildlife is seeking public comment on a proposal to list the pinto abalone as a State Endangered Species. Born and raised in Eastern Washington, far from saltwater of the Salish Sea, Jess didn’t discover her pull to the ocean until her first SCUBA course in Thailand 10 years ago. After that she was “hooked” and was soon on a path to becoming a SCUBA instructor in Egypt, an underwater photographer ready to share the awe and wonder with others, and a life that would evolve around this deep developed passion for our ocean. This past summer the world watched as the small 4-year-old southern resident killer whale, J50, lost weight and, despite medical efforts to help, died (see below for links to media coverage). Scarlet, named for the rake marks or scars seen on her body shortly after birth, quickly captured the hearts of southern resident watchers thanks to her breaches and extreme surface activities. The Center for Whale Research recognized how thin she was in the spring and numerous phone calls and meetings led to the first ever attempt to provide medical intervention for a free-ranging southern resident killer whale. Many people asked, "Why now?" Was it a media ploy on the heels of the tragedy of J35 (Tahlequah) carrying her dead calf for 17 days? While the timing could make you think so, it was not. For the past decade, SeaDoc has hosted veterinary interns each summer to help run the Marine Mammal Stranding Network in collaboration with The Whale Museum. This summer’s interns were Alexa Dickson and Tamsen Polley, who have since returned to the UC Davis School of Veterinary Medicine for their third year. They did a great job and we loved having them around, so we took a moment to ask about their experience on Orcas before they dive headlong into their next year of vet school. Is Southern Resident Killer Whale J35 really mourning? By Joe Gaydos. For more than a week, a female Southern Resident Killer Whale has been carrying her dead calf around the Salish Sea. J35, the 20-year-old orca also known as Tahlequah, gave birth on July 24th, but the baby girl died just a short time later. Since then, people around the world have watched as this young mother has appeared to grieve. Primates, including Gelada baboons, Japanese macaques, chimpanzees and mountain gorillas have been shown to carry around dead babies even though, as one researcher commented, it "is a waste of energy and seems to be of no benefit to the mother." We held our biggest event of the year this past weekend on Orcas Island. It was a beautiful sunny day in Deer Harbor, filled with great food, wine and music – all bound together by a common love for the Salish Sea. Check out our photos from the event. 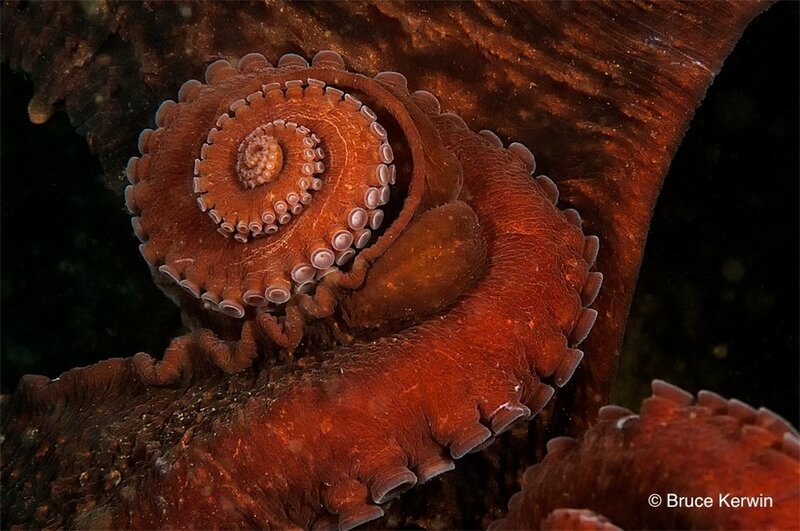 Salish Sea in Focus Photo Contest Winners! Our debut photography contest was an all-around blast. We have formally notified the winners and are excited to share their work with you! Thanks to all who participated and to our esteemed judges for lending their talents to the competition. What do red urchins, Pacific sand lance and scientific trawling of the seafloor all have in common? All three exist at depths that can’t be easily observed by scientists -- that is unless you bring in some fancy tools. Enter SeaDoc and our friends at OceanGate Foundation, with whom we’ve partnered to bring a submarine (a manned submersible called Cyclops 1) to the San Juan Islands this September. We funded three unique research projects, none of which would be possible without this incredible piece of machinery to carry our teams.